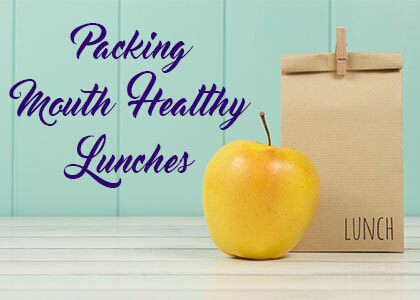 Dr. Yakowicz of Neighborhood Smiles loves to share ideas on what to include in your child’s lunch to keep their smile safe and their health optimal… and perhaps what to leave out and have as an occasional treat for good behavior. We know it can be a bit more difficult if you have picky eaters at home, but these foundations are good to keep in mind. At Neighborhood Smiles, we love to find recipes that some of these ingredients can hide in, ensuring our young ones get the health benefits without even knowing it! A proper diet will go a long way toward keeping your child’s smile healthy, but it’s still important to bring them in for thorough, gentle cleanings and cavity prevention methods. We love seeing their smiling faces, too, so contact Neighborhood Smiles today to schedule an appointment! Bacteria: The Good, the Bad & the Neutral	What Happens in Your Mouth While You Sleep?